Anyone over the age of 35 likely has a Whitney Houston or Bobby Brown song that was a part of their teenage years. Those under that age are probably more familiar with the pair’s daughter, Bobbi Kristina Brown. Three years ago, the world learned of the passing of Whitney Houston after years of battling drug abuse. Her life came to an end in a hotel bathtub, hours before the Grammy Awards. It sent a chill through not only the music and film industries, but for her fans, it was an incredibly sad end to one of the most powerful voices to ever grace the airwaves. Now, though, it seems Brown’s and Houston’s only child together, Bobbi Kristina, could be following her mother’s tragic final path. She, like her mother, was found unconscious and face down in a bathtub. The tragedy, like most when it comes to the entertainment industry, is unfolding with some truthful and some speculation over exactly what happened. Surprisingly, there’s not been much said about HIPAA laws. As elder law and estate planning lawyers, we know the importance of medical powers of attorney and healthcare proxies in our clients’ efforts of protecting their family. 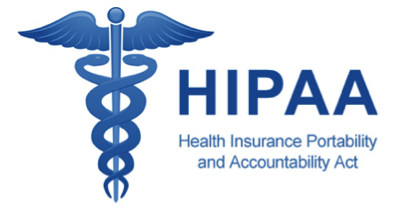 Doctors and other medical professionals are prohibited from doing much of anything when it comes to bringing someone else to make medical decisions when a HIPAA release is not part of a patient’s file. The Bobbi Brown tragedy is a painful reminder of just how important these release are. After being pulled from the bathtub and revived, the 21 year old was taken to a hospital in Atlanta. Her husband found her and began CPR as he waited for police and an ambulance to arrive. It’s been reported that they were able to revive her at some point before reaching the hospital. It’s also been reported that she’s in a medically induced coma and on a ventilator. “Right now, I can’t comment on any condition because of the HIPAA laws, but I can tell you she is still alive,” Lisa Holland, a police spokeswoman said on Sunday. Of course, any time a celebrity is involved, fans want every detail. The HIPAA privacy laws are clear and definitive. Even as there are some reporting on what different hospital representatives have said, it’s not likely there’s any accuracy in those reports. To speak to the media would be a significant breach of the law and you can be sure the hospital is working day and night to protect this young woman’s privacy, as well as the privacy of those who love her.